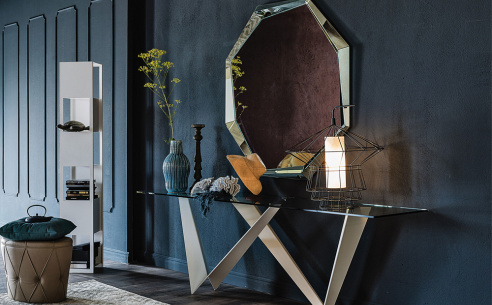 Superbly contemporary Console table with a striking steel base that instantly distinguishes it as a unique and individual item. 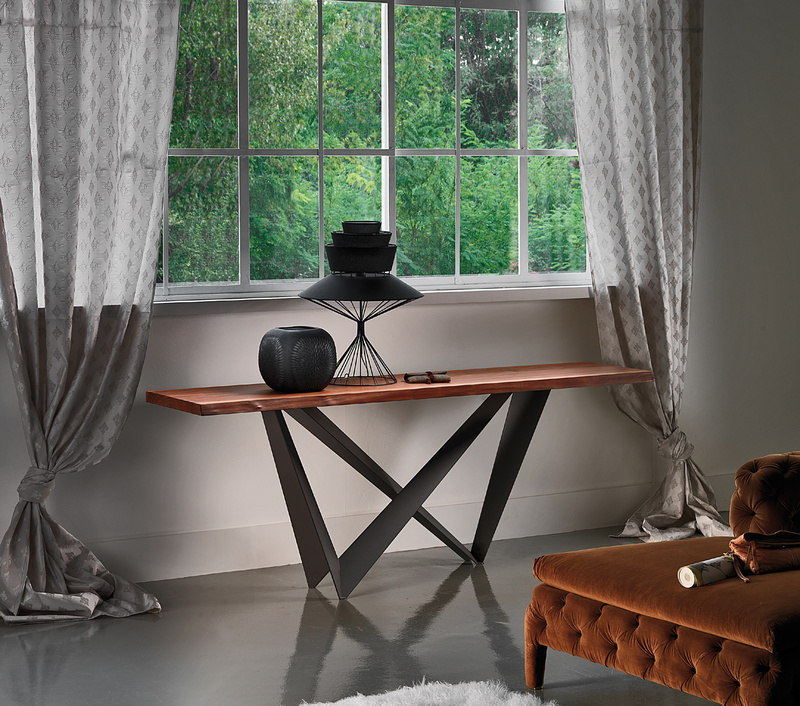 The 12mm top comes in solid Canaletto walnut or burnt oak with natural irregular edges. Available in 3 widths. 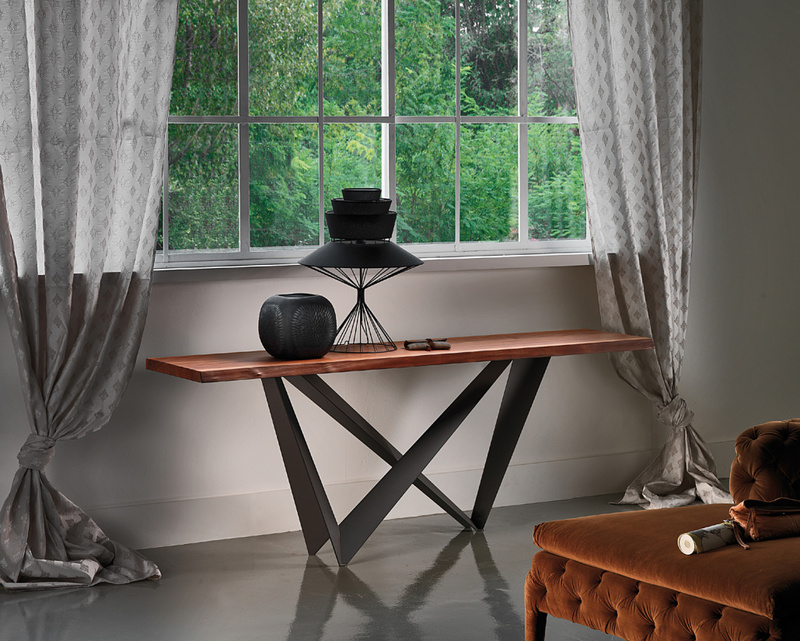 An unusual and innovative addition to any home.